It seemed a daunting task, but the guy, Tom, an expat who runs the show along with his Arabic co-host, was sensitive and kind, chatting to me before the show – and at one time he seemed to have tears in his eyes. We are all touched by loss and grief – maybe something resonated with this lovely guy. By the time we were chatting on live TV, he felt like an old friend and my nerves were completely gone, also partly because he provided me with some very useful tips, reinforcing some points my FB friend, Jack Owen, had pointed out subsequent to his appearance with Joan Rivers (yes – that Joan Rivers!). 1. Don’t look at the camera – you’ll look daft. 2. Don’t gabble – you need to make clear points. 3. Keep it snappy. Talk in sound bites. Why? Because you’ll pack in much more of what you want to say than if you start heading off on a tangent (I am so good at tangents – this was the best advice ever!). 4. Don’t fiddle with anything – hair, nails, nose. Watch the show – you’ll see I have my hands glued to a copy of The Thinking Tank. 5. Wear something comfortable that also makes you feel good: A particular challenge as this was of course a conservative show in the Middle East and I need to be pretty much covered. Was I trying to titillate the reader with my descriptions of what happens to Sally? It’s a question that has been nagging at me since, last week in Rutland, there was a lady brave enough to ask it – maybe even accuse me of it. I know absolutely I am not glorifying any aspect of what is unquestionably abuse – my intention is, of course, quite the opposite. But what about the titillation? Sometimes it takes a brave person to mention the elephant in the room – and there were in fact several such brave women at the reading group, where I was invited to answer questions about The Thinking Tank. I’ve talked about feeling naked before – having yourself out there, your written word being analysed, chewed over, interpreted, misinterpreted, whatever. But this was a bit different. I don’t usually feel the need to justify my choices – no, wrong – if I justify my choices, I usually feel comfortable. But then nobody has used that word, ‘titillation’ before. It has a nasty sting, that word, and is surely almost a subset of the word ‘gratuitous’. 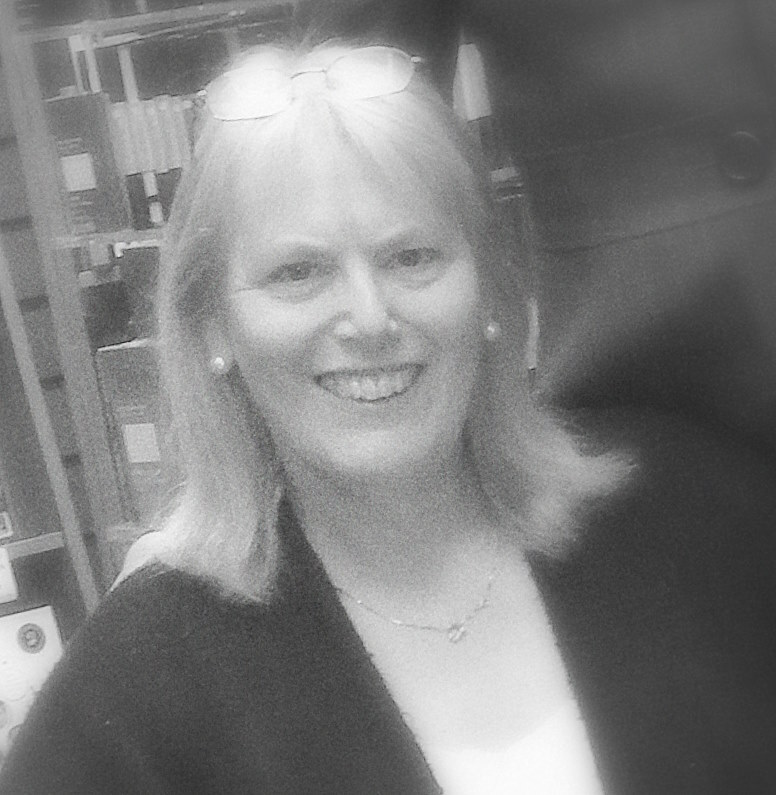 What happens has to be seen through Sally’s eyes, and felt through Sally’s senses and conveyed to the reader as Sally herself experiences what is happening. Do we not all recognise those murky first stirrings of awakening through pseudo-sexual games? Is it not fair to relate it as it is, and with the effect it will inevitably have on a vulnerable player in my novel? If we are not moved by what is happening – aghast, shocked, thrust out of our comfort zone by uncomfortable passages as we follow Sally’s journey, then how can we possibly relate to what is the catalyst for all that happens thereafter? How can dot-dot-dot convey the horror of what occurs? Sally was titillated, despite the shame and the horror and the wanting to be wanted. So we, being put into that place and into her mind and body, are also titillated. Is that how it works? 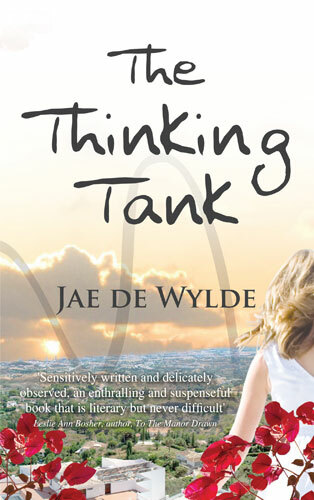 The Thinking Tank is available from Walkers and Waterstones and on Amazon in paperback and Kindle. What inspires you the most when writing? Music without a doubt. I can’t write without it and every novel has its own theme music. Often, this means I can only then associate it with that particular novel. I always make sure I have my headphones nearby. This isn’t to say I can’t write without the music inspiration but I do find it harder. In fact a piece of music often inspires a whole novel. I’m sure in this I am not alone. A Lap top every time. At one time I used a rather tatty old notebook but I now have a lovely smart lap top that I couldn’t live without. I tend to have numerous documents open when writing as all my notes are on there also. I am a devout user of Drop box, if devout is the right word. My husband discovered it and it is a great way to make sure I don’t lose anything. This is something I am normally very prone to doing, I am ashamed to say… Paper doesn’t work for me. I write much too fast and then cannot read my illegible handwriting, so it is not very constructive for me to use paper. Where do you most like to write? I worked part time until recently, so I would get home from work, prepare some dinner and then dive into my summer house. A lovely cosy room which houses everything I need and there I try to write a thousand words a day. Although in the summer I am easily swayed from the word processor by the lovely birds that come into the garden. It is my chosen space. I live in a small village in the country and it is so peaceful to sit there with just the birds singing and the humming of the occasional lawn mower. I would love to write the screenplay for one of my books. That would be my writing ambition. I also have dreams of writing for TV. I love writing comedy. Personal ambition is to be happy and content. I think contentment is the key to everything and something I have not quite attained yet. Do you have a disciplined approach? I am only disciplined in that I make myself write 1000 words every day. Even if I am not happy with those 1000 words I still feel it is important to have written them. There is always gold to be found in that there dust… I truly believe that all writing is productive. Aside from that I am hopeless, frankly. I get side tracked very easily, especially by food and drink. Chocolate is my particular downfall. What do you think about the whole marketing thing? I’ve always enjoyed writing. My mother was fond of telling everyone that I wrote a good composition. I always was a good liar. I spent most of my teenage years living in my own little world. It is also a great way of expressing my quirky humour. I have a tendency to laugh at everything. I also think laughter is a great healer and a wonderful way to banish the blues. I love reading comedy also. It is a genre that gives me pleasure both reading and writing it. 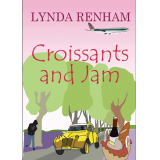 Grab your copy of Croissants and Jam on Amazon! Oh, can I let Blog critic Diane Morasco do that? She does it far better than me. ‘Croissants and Jam seized my heart of steel and barbwire… and melted it into a simmering pool of marshmallow and milk chocolate. Hollywood take note: Croissants and Jam is what heart-pounding and nerve-tingling romantic comedies are made of. Breathtaking. Intelligent. Magical. Mesmerizing. Pulse-pounding. Rip-roaring. Spine-tingling. Soul stirring. Unforgettable. Whimsical. I can go on and on and on describing Lynda Renham’s bewitching novel, but I want to cut to the chase so you can grab a copy and see for yourself. Annabel “Bels” Lewis has just two days to get to her wedding in Rome but her trip is plagued with one catastrophe after another as destiny takes hold and casts its spin. Enter Christian. A dashing and adventurous stranger she encounters along the way. Will Bels get to her wedding on time or will the mesmerizing Christian transform her life? Thanks for the inspiration, Lynda – must go practise lying for my next novel!